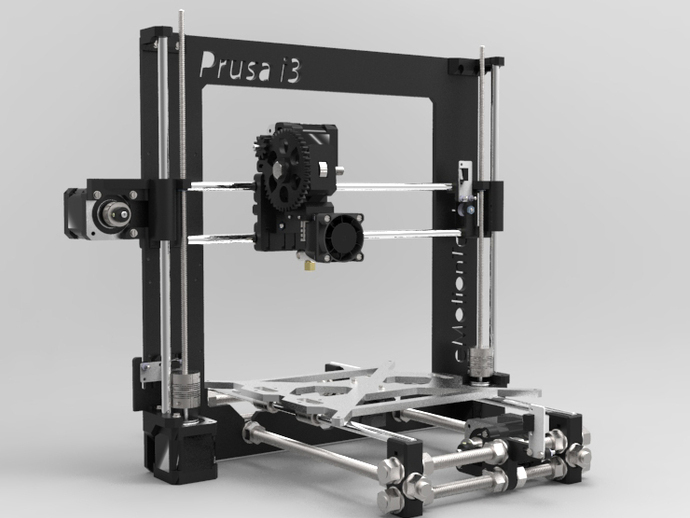 As of today (september 2013), Prusa Mendel i3 is one of the latest models cooking at reprap.org (http://reprap.org/wiki/Prusa_i3). It was published about September 2012, and is still under some minor development. It is often recommended for beginners, as its assembly complexity is fairly balanced with its capabilities. Buying a full kit online, paying the price that the retailer wants to ask (from 350$ to 1000$). Attending a workshop and pay around 700$, but one gets home with an assembled printer and some knowledge. Buying the pieces separately with the help of the buyer’s guide from reprap (http://reprap.org/wiki/Prusa_i3_Buyers_Guide). This totals to a price ranging between 300$ to 1237$, which considering the hassle of chasing each provider, finding the right measures and the high potential of failure in some specification of any of the ten orders, makes it highly recommendable (at least for the beginner) to either attend a course or buy the full kit and follow instructions on some youtube video.